December 26th in Plugin Lists, Wordpress Plugins by Wordpress Jedi . 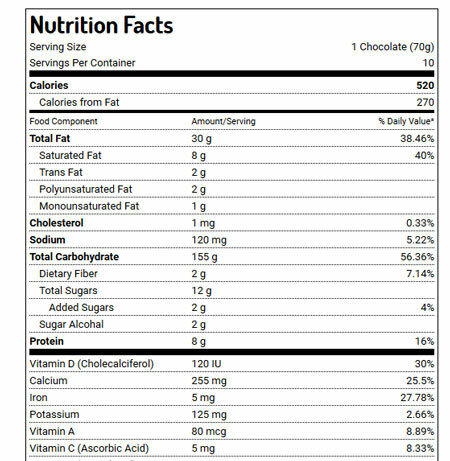 Nutrition Facts Label Creator: a responsive plugin with 39 predefinded food components. It has 6 nutrition label styles. 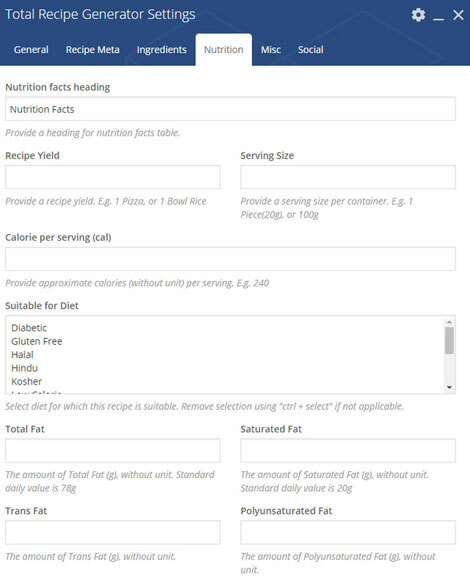 Build A Meal: a nutrition calculator plugin with a responsive design. It supports unlimited categories, ingredients, and nutrition info. Lets you share and print meals easily. Total Recipe Generator: designed for Visual Composer users, this plugin lets you create recipes with nutrition facts on your site. You can build recipes via drag & drop. foodpress: lets you display your meals and dishes in an attractive fashion. You can manage reservations from the back-end. 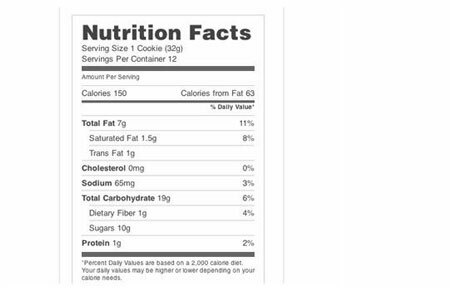 Easy Nutrition Facts Label: lets you add clean nutrition facts labels to your website. It comes with a simple shortcode to generate FDA-style labels. 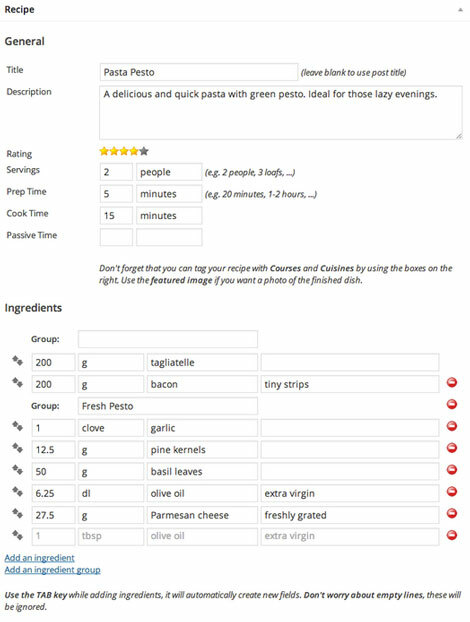 WP Recipe Maker: a freemium plugin that allows you to list recipes on your website and display nutrition data. Your visitors will be able to vote without commenting. 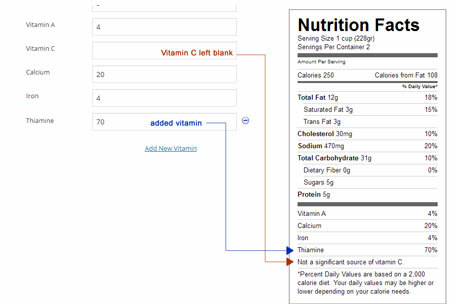 Nutrition Facts Vitamins: lets you add more complete nutritional facts labels to your site with additional vitamins. Cooked: has a drag & drop recipe builder. It accounts for preparation and cooking times. It has interactive timers and recipe search built-in. WP Ultimate Recipe: adds recipes and food photos to your website in a responsive fashion. It has Pinterest Rich Pins functionality. The premium version lets you import recipes and retrieve nutritional info for your recipes. Zip Recipes: another handy plugin to display recipes on your site. It has an automatic nutrition calculator, multiple recipe card designs, and other advanced features. Schema.org’s Recipe mark-up and Google AMP are supported. Keto Calculator: developed for keto diet followers, this plugin displays macronutrients necessary for your visitors to reach their weight-loss goals. 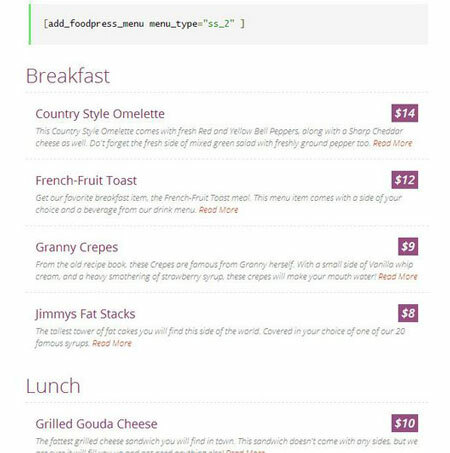 Le Chef: lets you enter and format your recipes. It should work with most themes. 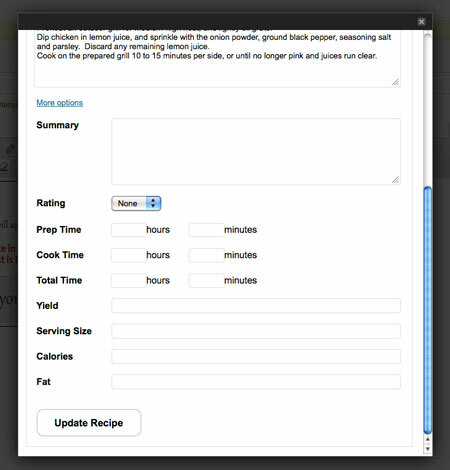 You can add custom recipe types, manage nutritional facts, add cooking steps, and more. Have you found better recipe and nutrition facts plugins? Please share them here.